Regrettably Stoughton Infant School and Northmead Junior School will have to remain closed to all training and matches this weekend, 16th/17th January, due to surface water following further downpours earlier this week. 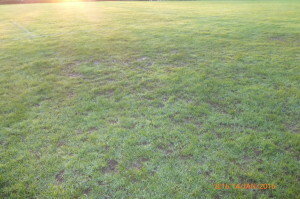 The problem is compounded by the period of milder weather experienced over Christmas which encouraged grass growth – unfortunately it has not been possible since then to get cutting equipment onto the pitches without causing further damage. We will of course update on the situation same time next week. 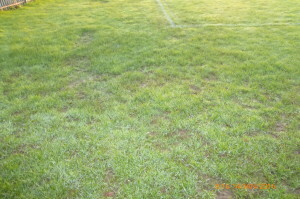 Meanwhile, these tow photographs taken today show the extent of the surface water problem….